In the Civil War, many women took a large role in helping their country, both Union and Confederate. This is partly due to Women’s Rights activism having flourished in the same time period as the Abolitionist movement, and thus a feeling among other activists of the time to help out someone who had been fighting for the same rights as they were. Women helped in many ways, including ways that were legal, and other ways that were more scandalous. One example of the latter was Frances Clailin, or, as she had others believe on the battlefield, Jack Williams. Clailin had enrolled alongside her husband, Elmer. However, women were not allowed in battle, and so she resorted to dressing as a man and gave herself the name Jack Williams. She ensured she wouldn’t be found by taking up all the “manly vices”, such as swearing, smoking cigars (her personal favorite), chewing tobacco, drinking, etc. and learned to walk with a “manly gait”. 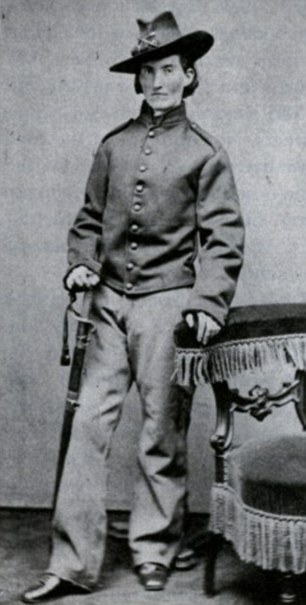 In the war, Jack Williams was an admirable soldier and a respected friend of many others that was known for his horsemanship and swordsmanship. He had fought in 18 battles, been wounded by 3 times, and taken prisoner once. When Elmer died just a few feet in front of Clailin, she marched over his body as she was ordered to do. However, she was eventually discovered, although how this happened is disputed, and was discharged, despite all she had accomplished for her country. She was one of more than four hundred women. The less scandalous examples include Clara Barton, founder of the American Red Cross. She saw the need for personal assistance of the hungry and wounded men in war and decided to take supplies to them. She and others, helped the position of a nurse become more respected and did their part, both on the battle field and in the government to help their country and the war effort. A war is a war for all people involved. When a country fights for their independence or for unity or whatever the cause, it is the cause of every citizen, of every human who resides there. The Civil War is the war that fought for a united United States, and eventually the rights of blacks. But what of the women? Were they given civil rights? Were they given the ability to vote? No, they would continue to fight until early 20th century, despite their protests to be added to the 14th and 15th amendments. However, their service to the country proved yet again the strength of women, both physically and emotionally, their dedication to their country, and the prejudice they encountered throughout American history, even when equality for others emerged. Their time would come. It is interesting to be learning about the war from the women’s point of view. People don’t usually learn about individual stories of women in the war, and it’s cool to see the many ways they affected the war, legal or not. I also like how you included photos (it makes it easier to understand how they weren’t really questioned as being men because the disguise is actually pretty good).